Farm-to-table flowers are having a moment. Alix Cott is the Head of Editorial Communications at Carats & Cake. Launched in 2013, Carats & Cake curates the best of weddings across the country to allow couples to find top vendors and venues by location. The platform empowers local businesses by bringing their brands to life through real content and enabling them to run more efficiently through smart, elegant tools. 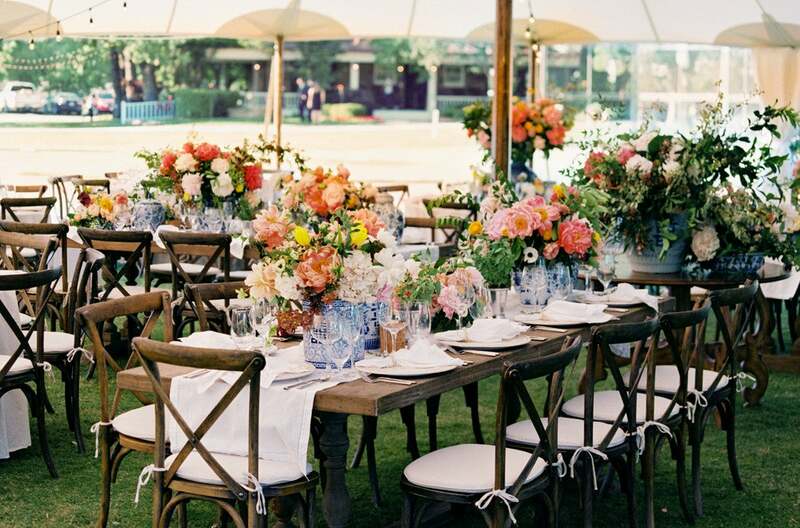 Any great summer wedding tablescape should showcase two things: elegant (and festive!) decor, and a variety of seasonal florals. From towering centerpieces to antique flatware, there are endless ways to add personality to a celebratory summer tabletop and incorporate farm-to-table florals in a fresh way. To perfect the look, we asked the wedding industry’s top experts for advice on curating a tablescape worthy of an elegant celebration.